I have been suffering from extreme emotional stress. Is my stress causing hair thinning? Home Q&A Sessions I Have Been Suffering From Extreme Emotional Stress. Is My Stress Causing Hair Thinning? My hair started thinning sometime last summer, during a period of extreme emotional stress. My father has been severely ill for a long time and my hair thinning was hardly noticeable at first. But then my scalp became tight and itchy, and my hair was dehydrated. And then one day while washing my hair, I felt a searing pain and found I had lost a significant amount of hair in one go. I saw a doctor who suggested it was Seborrheic Dermatitis and I have hoped that with time it would grow back. The amount of scalp visible is still relatively small, but my hair looks dry and dirty at the start of each morning, despite carefully choosing high-quality moisturizing or hydrating shampoos. 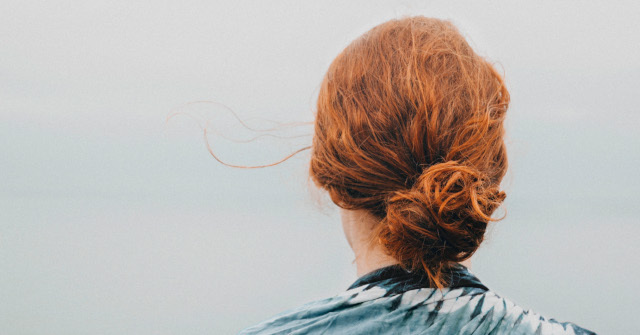 I have contemplated shaving my hair off, but it’s a look I have never wanted to have to sport – I have always favoured longish hair, and it has always been part of my style. So losing hair has affected my self-image. My father, who passed away in January this year, never went bald. I am hoping this condition might be a reversible form of hair loss with the right kind of treatment. If it isn’t, then at least I will know and can try to accept it. Thank you for taking the brave first step in contacting me. While your inquiry is detailed, I would obviously need to examine your hair and scalp to be sure of the condition. My first thought is whether the scalp condition may have caused the hair loss, possible scarring condition or hormonal based hair loss. For genetically inherited issues, both male and female family history is relevant. As is your diet, medications were taken, operations and allergic reactions, etc. Your first visit should allow time for a treatment also as I wish to improve the discomfort on the scalp.